3M units in the Republic of Belarus and Russia from the beginning of 2018 are United into one regional structure – 3M Russia and the CIS. The markets will be a joint product launches, training events, loyalty programs for customers. 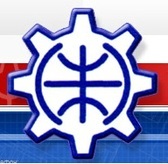 During the campaign #весна_Klingspor company Abrazivkomplekt will present at the exhibition InterStroyExpo 2019 in Saint-Petersburg and specialized diamond abrasive Klingspor tools for construction and repair. The exhibition will be held from 18 to 20 April 2019 in the exhibition complex Expoforum. At the meeting in Moscow exhibition MosBuild 2019 the company Klingspor has introduced two new Cup diamond wheel 600 A Supra DS and DS 600 S Irga. Among the new combined diamond cutting discs for asphalt-concrete DT 350 AB. The 3M company presented the results of a laboratory evaluation of the effect of conditions of preparation of steel surface of oil and gas pipelines on the functional properties of powder epoxy coatings. Tell us about the competition ’gold medal of the exhibition. How will the selection of nominees and winners? Contest ’gold medal» aims to celebrate the best products and technologies to help manufacturers gain a competitive position and to create a positive company image in the market. On the questions of the correspondent of the portal Abrasives replied Maria Volkova - Director of the project Mashex Siberia 2015. From 5 to 8 November in Moscow planned for annual instrumental exhibition MITEX - Moscow International Tool Expo. And today our questions are answered by exhibition Director - Tatyana Bulavina. An interview with the project Manager, Deputy Director of the exhibition company “Expoforum”, candidate of technical Sciences Vyacheslav Petlicky about the preparation for the forthcoming Belarusian industrial forum-2013. Official distributor of 3M. Advice on the use of wholesale in Saint-Petersburg. Internet portal Abrasives is providing B2B and B2C service, reliable information about abrasive tools from all over the world. Detailed description about grinding hand tools and machine tools as well as polishing liquids and accessories can be found in various sections of the catalogue. Our portal is being updated on regular basis and its a good chance to introduce yourself as a reliable partner and supplier. Abrasives Portal - this is your opportunity to express themselves.